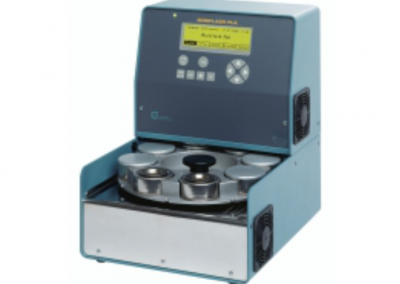 The MINIFLASH is a uniquely designed tester for the determination of flashpoints of liquids and solids. 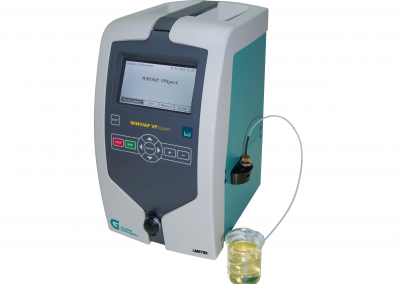 The analyzer uses the Grabner flash detection method for measuring the instantaneous pressure increase inside the continuously closed chamber at the flashpoint temperature. 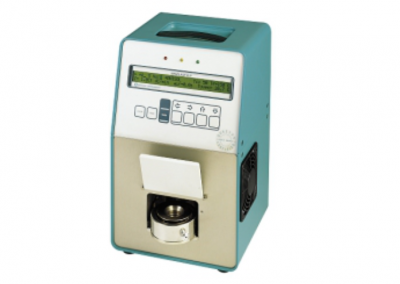 Heating the test chamber from the top avoids condensation of highly volatile compounds, significantly improving the test results. Fast thermoelectric cooling by Peltier Protection Technology ™ saves expensive labor time. 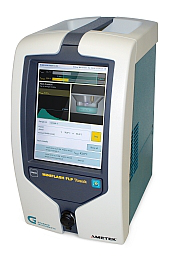 MINIFLASH TOUCH is the latest addition to the Grabner Instruments line of portable flashpoint testers, and combines all of the field-proven advantages of the MINIFLASH tester line with a new convenient touchscreen design. 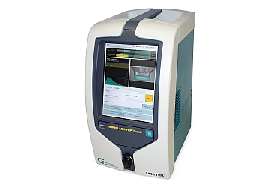 The touch-screen runs on a Microsoft® Windows® platform, the analyzer offers full compatibility with network, PCs and LIMS, user access control, new flashpoint methods and additional features for standard and advanced users.